International Visitors: AARRC partners with the Arizona Center for International Visitors to welcome participants in the Department of State’s International Visitors program. 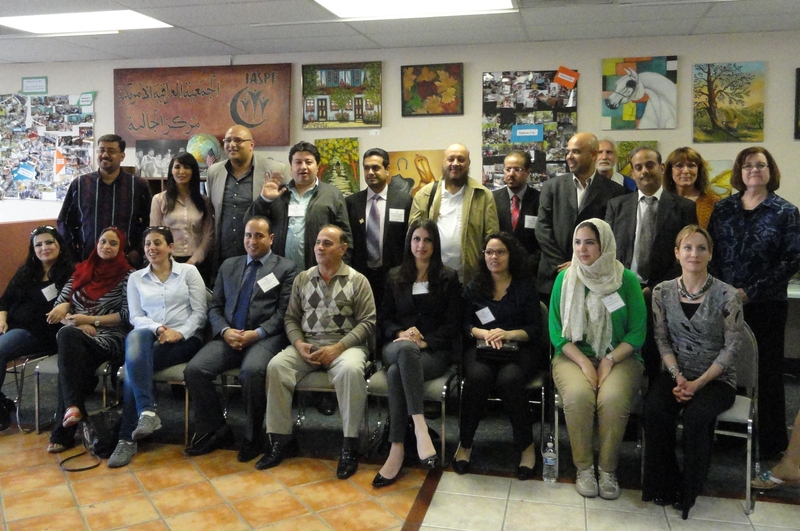 Human Rights Advocacy and Awareness: 20 visiting dignitaries from the Middle East and Africa, including members of Parliament, union leaders, lawyers and activists met to discuss contemporary civil and human rights issues in the U.S., particularly for populations in greatest need of protections. Americas Multiethnic Society and the Role of the Successor Generation: Discuss the diversity of ethnic, religious, linguistic, and racial groups in modern American society and the challenges facing minorities and immigrants. Visitors from Czech Republic, Sweden, Finland, Germany, Belgium, Netherlands, and Slovakia. Building Community Service Organizations: 10 youth leaders from Bangladesh visited to discuss structure, funding mechanisms, volunteer and membership coordination, advocacy activities, and community service activities for non-profits empowering youth, women, and marginalized groups.